Join us for another year of SoCraTes UK happening on June 6th-9th! The event is hosted at Wotton House, Dorking, UK which is surrounded by 13 acres of beautifully landscaped grounds, delivering tranquil setting and backdrop. Two full days of Open Space Unconference plus extra time for getting to know fellow crafters from all experience levels. Demand for tickets is usually high. In order to treat people fairly, we have decided not to allocate tickets on a first-come-first-served basis. Instead, tickets will be randomly drawn from a waiting list that’s being opened for a few weeks. If you want to participate in the lottery, please click on “Join the waiting list”! The first lottery drawing will happen on March 1st. You then have 48 hours to make the deposit and claim your ticket, otherwise, the next person will be drawn at random. Scroll down for more information, especially our Code of Conduct and Priority Tickets. The ticket includes the booked room, breakfast, lunch and dinner. Biscuits, coffee, tea and water will be available throughout the day. Drinks at the bar are not included. The ticket price gets paid directly to the hotel and we do not make any profit from it. The price might be reduced by sponsorships, so make sure to spread the word so all attendees can benefit from cheaper tickets! Food that respects your dietary preferences will be provided Thursday dinner till Sunday lunch. Water, tea, coffee and refreshments and the accommodation in beautiful rooms in the house itself is included. The venue has amazing grounds to relax and wander in and boast a gym, sauna, steam room, indoor pool, jacuzzi and tennis court if you fancy. Twin rooms have two beds in them and you share the room with someone else. The price of the room is slightly reduced. Twin rooms will be made available on a first come first served basis, after the first raffle for regular, single occupancy room tickets have been drawn. Before the event, you can either provide the name of a roommate that also registered with the event or we will find one for you. For this purpose, we will enable buying two twin room tickets at the same time. What if I don’t know anyone in the crafter community? A new group can be intimidating, but we hope you give SoCraTes a try. The SoCraTes community aims to be open and inclusive to everyone. In addition, we are hoping to provide some Conference Buddies so you can attend together. What should I know before I add myself to the waiting list? By booking, you agree to follow our Code of Conduct. Please read our full code of conduct before buying a ticket, discussing online and before coming to the event. But please don’t feel intimidated by it - these are simple rules, and they will make life better for everyone at the event. We have some priority tickets reserved for international guests and for people of under-indexed groups in tech. Fill in this form to signal that you’re part of either/both groups. We trust that you know best if either/both applies to you. The below prices are the final amount due at hotel checkout - they will likely be reduced by sponsorships, which will be equally applied to all tickets. The price you pay at initial registration on Eventbrite serves as a deposit to the hotel and will be deducted at checkout. Note, the deposit is non-refundable. If after you bought the ticket you realise you can't make it, you can sell it to someone else. Send us the name of the person that will be attending in your place. You will be liable for paying the remaining amount to the hotel during check out — you will have a room booked in your name. Where is the waiting list? If you have any other questions please contact us directly. Thanks to SoCraTes Day Berlin and SoCraTes Germany for the inspiration for this text! 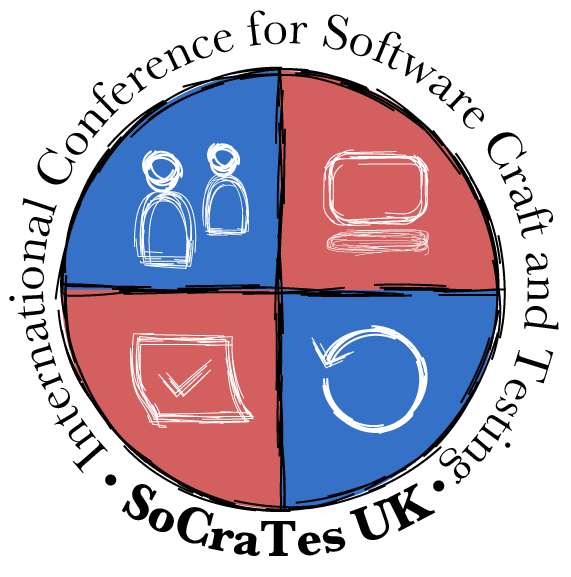 SoCraTes UK is organised by a group of volunteers from the Software Crafters Community. Interested in sponsoring this year's event? See the sponsorship page. SoCraTes UK would like to thank Codurance for supplying and maintaining our domain name.